"Ooo Oo Oo aaa aaa"
Our story began with a visit to Japan’s Nagano Prefecture, which is known for its large population of snow monkeys. They got their name from the fact that they live farther north than any other non-human primate, in areas where snow covers the ground for several months. Being cloaked in thick, soft fur and bathing in hot springs allows them to survive in extreme weather conditions that plunge way below zero, while the mountain and forest shelters protect them from the hot summers. We were inspired by their ingenuity and decided to create a line of thermal bottles named after them. 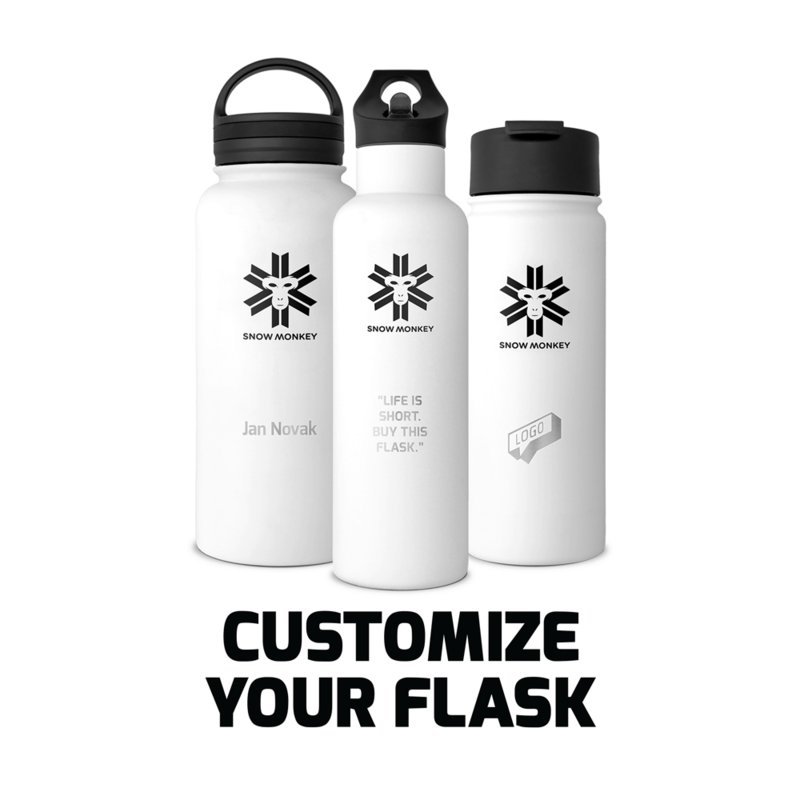 Snow Monkey flasks keep your drinks at a constant temperature no matter what it’s like outside, providing you with a warm beverage on a chilly day and cold refreshment to beat the summer heat. We support young creative teams, so we decided to collaborate with AKLIH.